Mercy Access was launched in 2016 and aims to further the government policy “Closing the Gap” and increase school completion rates for Indigenous students. It is based in Shepparton, Victoria and with the assistance of trained volunteers, provides support with the intention of improving literacy and numeracy levels. This in turn leads to better employment prospects and an enhanced ability to sustain the Indigenous culture. The program also includes an after-school homework club for primary school students. If you’re passionate about helping indigenous students and have experience working in a school setting, consider volunteering for Mercy Access. You’ll meet new people, share ideas and receive ongoing support from the Project Co-ordinator, In-school Co-ordinator and other volunteers. Click here for an application form or more information on volunteering for Mercy Access. The Honey Ants Children’s Club is an active Indigenous academic and recreational after-school program catering for Aboriginal children between the ages of three and fifteen from the Davenport community near Port Augusta in South Australia. The children who participate in the program come from a low socio-economic family background and are often placed in the care of grandparents, many of whom have little disposable income, to provide extra learning experiences. In addition to providing nourishing refreshments, the specialized program cultivates skills in language learning, science, maths, reading, health, hygiene and creative writing – to name a few. 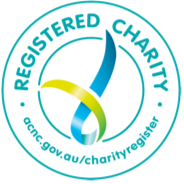 MercyWorks is a member of the Australian Council for International Development (ACFID) and a signatory to the ACFID Code of Conduct, which commits international aid and development organisations to good standards of governance, transparency, accountability and effectiveness.